Uncover the history of the Black Power movements in California with a compelling addition to the Gallery of California History. In response to the widely-popular 2016 exhibition All Power to the People: Black Panthers at 50, this new installation will illustrate the creative ways black anti-racist activists in California supported their communities and challenged the U.S. government. Focusing on the example of the Black Panther Party, Black Power will bring to light the tensions between a culturally and socially progressive California and examples of economic racism and oppression in the state. This moment in California history will be represented through historic photographs, provocative objects, iconic posters, paintings and interactive prompts that encourage visitors to take action out in the world. Learn more about the Bay Area role in this national story, and the impacts this history continues to have today. 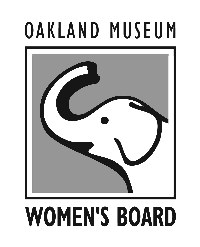 Black Power is supported in part by the Oakland Museum Women’s Board.